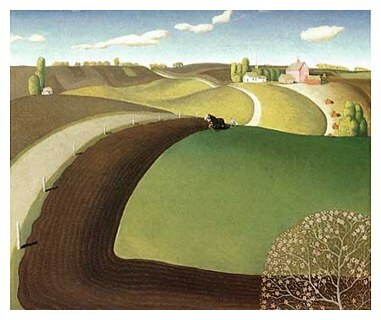 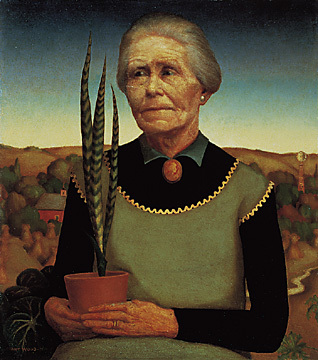 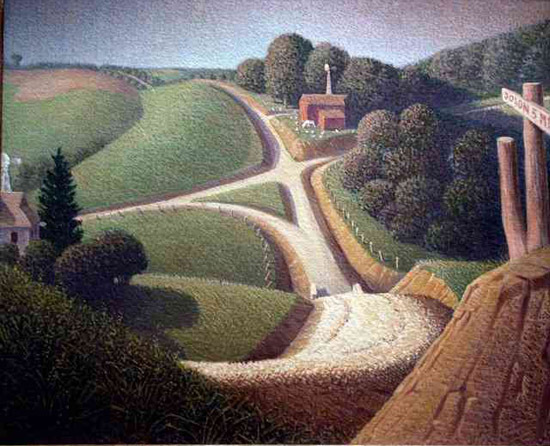 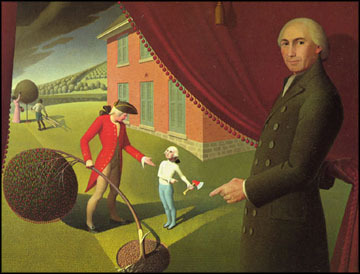 Grant Wood, an American painter, was a leader in the art movement known as Regionalism, which also included the artist Thomas Hart Benton. 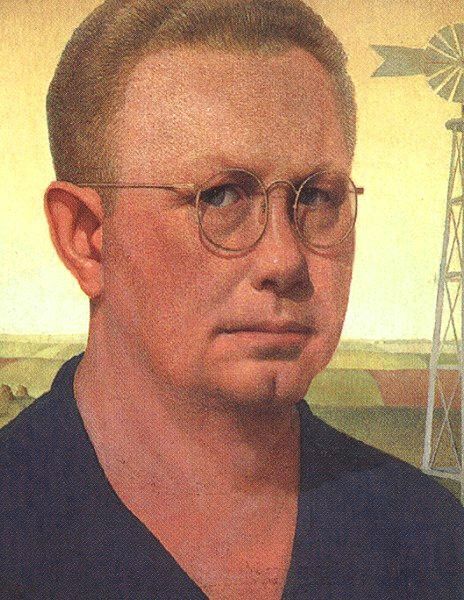 Wood was born in Iowa and lived mainly in Cedar Rapids. 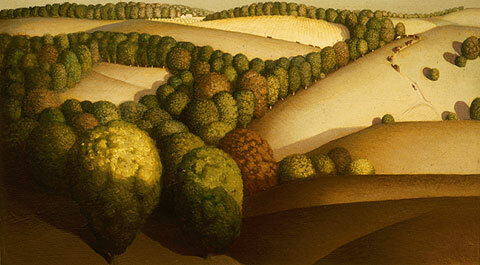 He visited Europe repeatedly from an early age and studied at the Academie Julian in Paris in 1933. 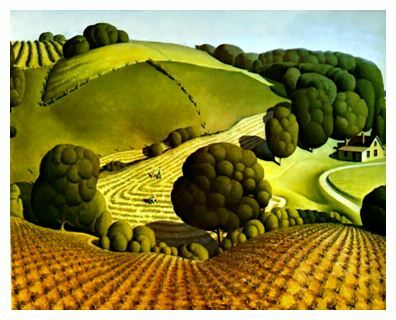 Still, he was mainly self-taught as an artist: he worked as a camouflage painter during World War One, an interior decorator, and a metalworker. 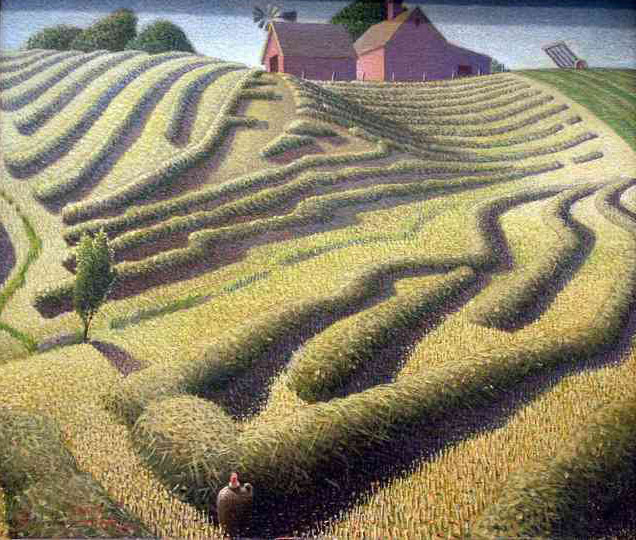 His early paintings were strongly influenced by French Impressionism. 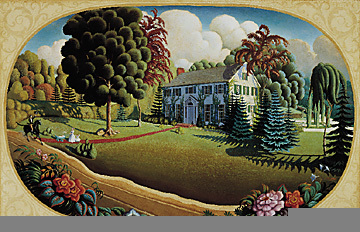 In 1928, having been commissioned to make stained-glass windows for the Cedar Rapids Veterans Memorial Building, he traveled to Munich to supervise the windows' production; there he encountered early Dutch painting, and was inspired to give up Impressionism in favor of his characteristic mature style. 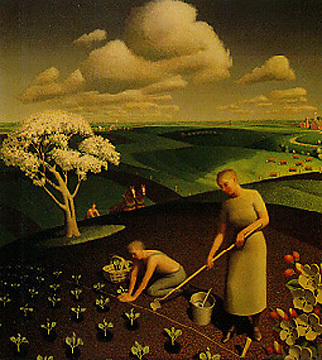 Under the influence of Memling and other early Netherlandish masters, Wood began painting with close attention to sharp, crisp detail. 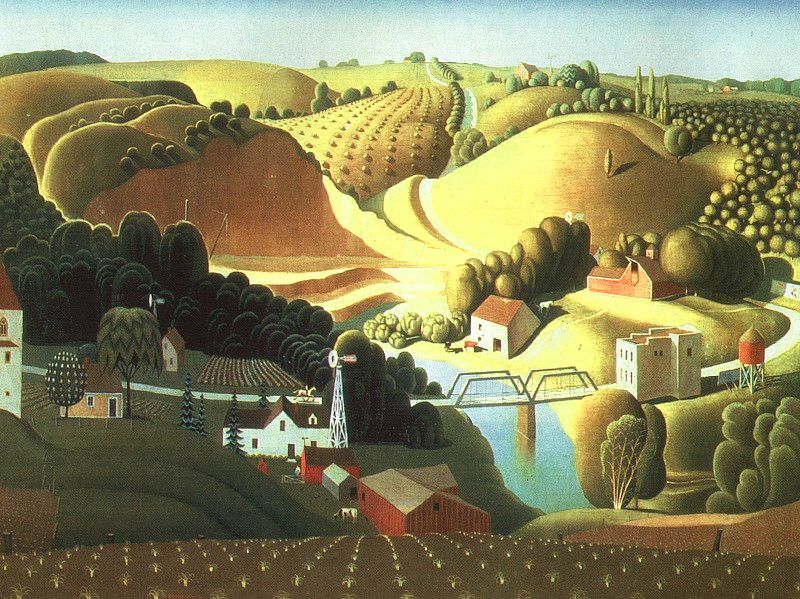 In the Regionalist aesthetic, the everyday lives of working people are the highest subjects of art; modern ideas of abstraction are often considered elitist and decadent. 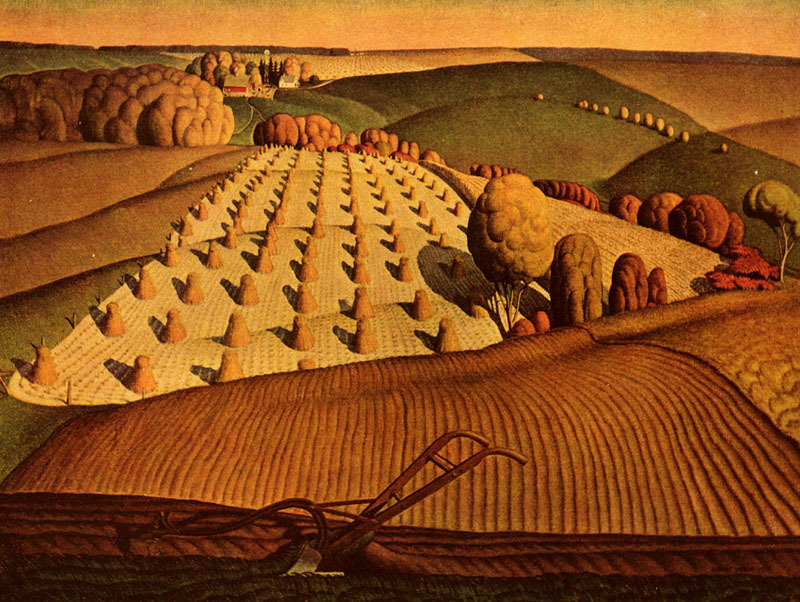 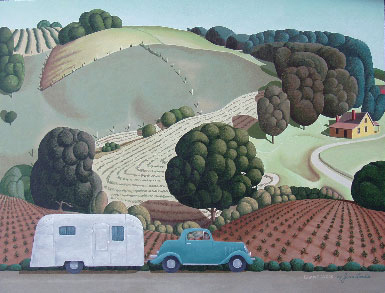 Wood therefore mainly depicted scenes of everyday Midwestern life in a fresh and sometimes stark manner. 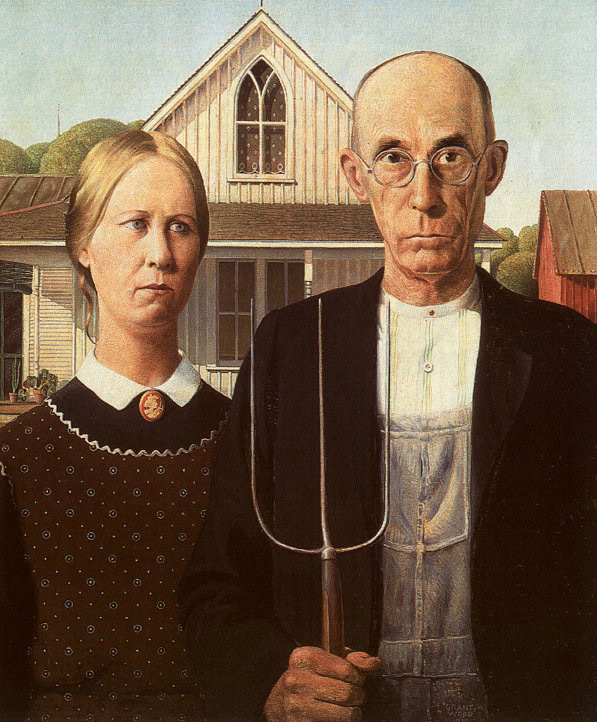 His best-known work, American Gothic (1930), won a bronze medal at an exhibition at the Art Institute of Chicago, but it caused controversy among some of the very people it was intended to depict, who interpreted the painting as broad, insensitive caricature. 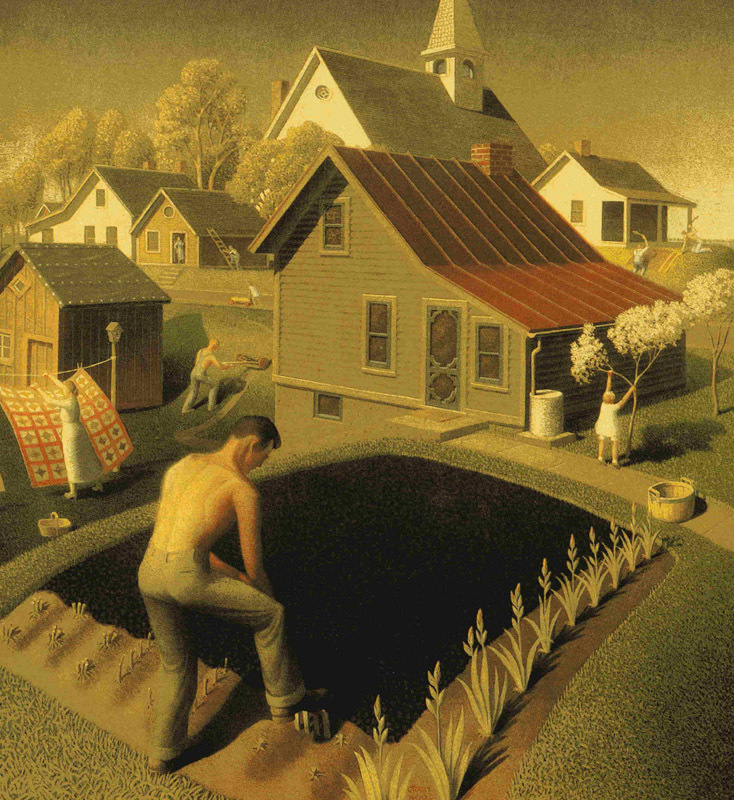 In the decades since, however, the work has become one of the most enduring images in American art. 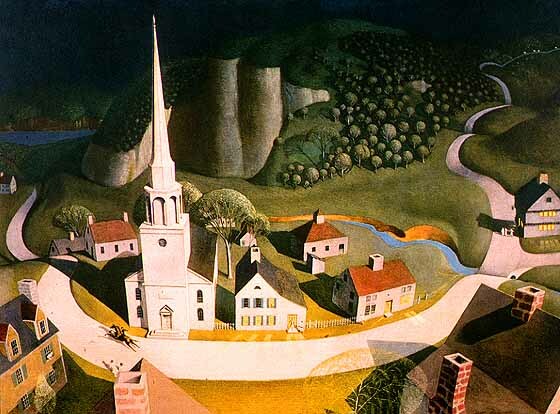 Wood painted many landscapes, as well as other scenes and portraits, including The Midnight Ride of Paul Revere (1931) and a genuinely satirical work, Daughters of the Revolution (1932). 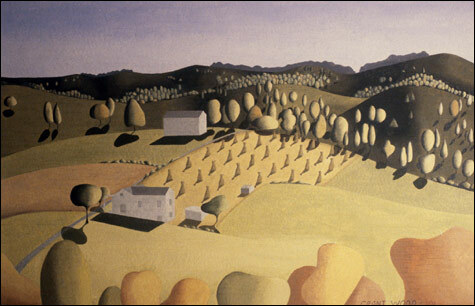 He supervised Federal Art Projects in Iowa and was assistant professor of fine arts at the University of Iowa.